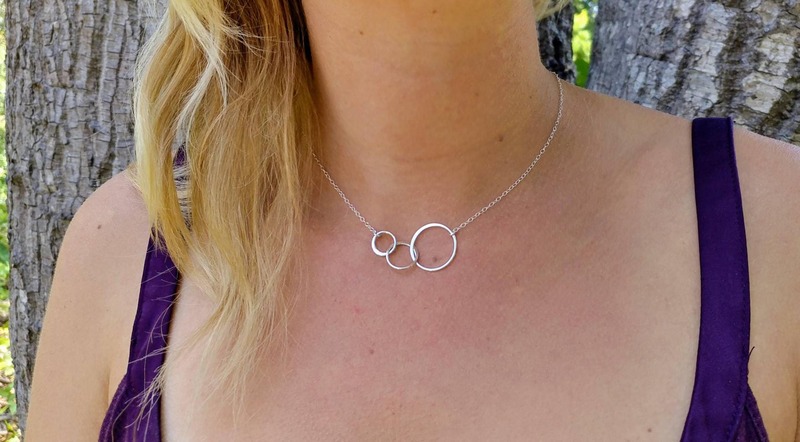 This infinity necklace is perfect for layering! 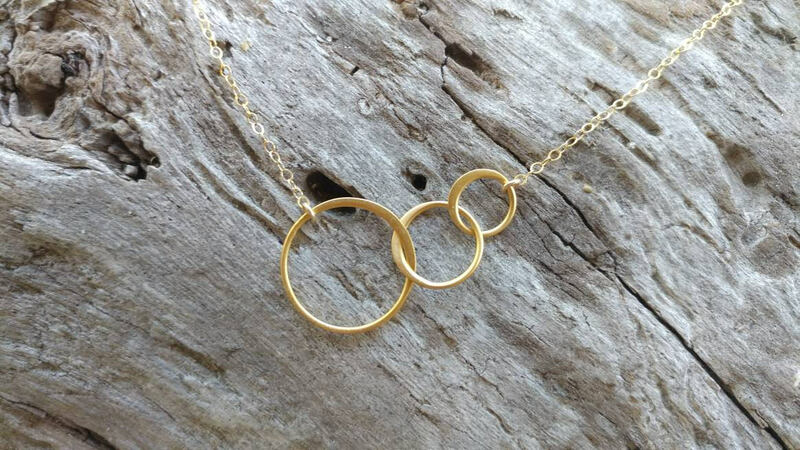 The circle charm has 3 different sized circles interlocked together infinitely. Necklace is shown here in 15". 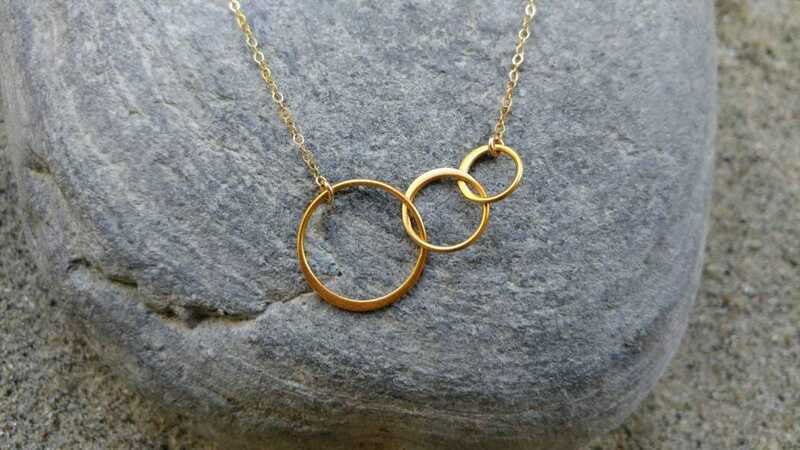 It can be made in either solid sterling silver or gold vermeil (gold plated over sterling silver). It is a perfect everyday necklace!